With temps in the high 90’s to 100+, I think it is safe to say that summer is definitely here! That means, that I am looking for recipes that keep my kitchen cool! 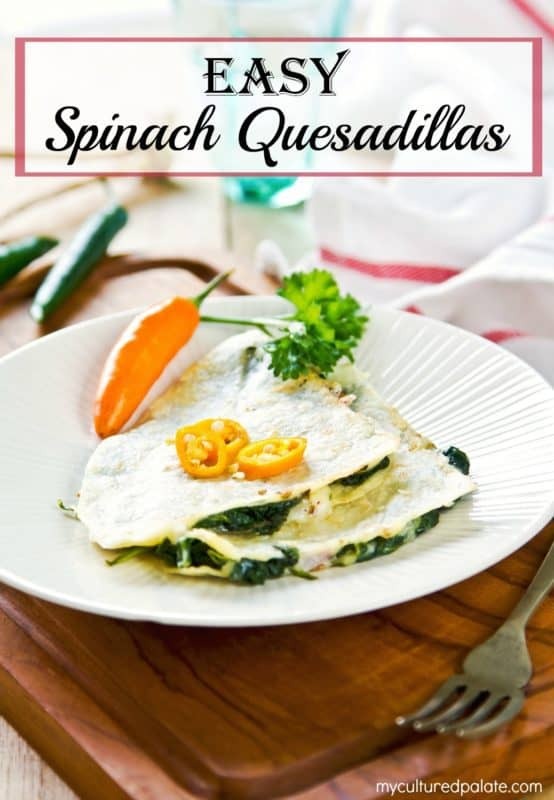 Enter Easy Spinach Quesadillas! 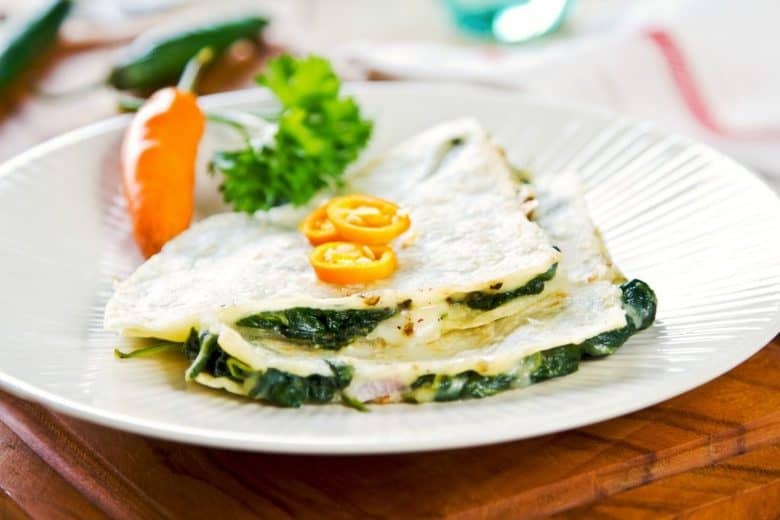 We have Easy Spinach Quesadillas all year round. But, in the summer, I grill them and they are delicious! Yes, you read that right! I cook the prepared Spinach Quesadillas on the grill. – OUTSIDE! This recipe comes from a friend that served them to us years ago. It think we only had four children then. Yet, it is such a good recipe, it is still around and is one of our standards. WHAT IS A GOOD RECIPE? So, you might ask, what is a good recipe to me? Well, first it has to taste good. These are delicious and that is even better! Second, it has to be easy. These are definitely that! Third, no exotic ingredients. To stay in my menu plan, I want easy to obtain ingredients that don’t cost a lot. I’m on a budget and with a family that has 6 children still at home (4 of whom are teen boys with farm-boy appetites) cost is important. Fourth, maybe this should be first, but it has to be nutritious. Normally, when scanning a new recipe, the nutritional value is going through my head. Fifth, I’m sure there are more criteria, but I am drawing a blank – I’ll get back to you on this one! Be sure to have plenty of sour cream and salsa on hand because mixed with the creamy filling of the Easy Spinach Quesadillas, people are sure to want more. I buy my real salt, herbs and spices from my affiliate, Starwest Botanicals - many of their herbs & spices are organic, and I think they are more aromatic and full flavored than any others. Mix the onions with the spinach and cook according to package directions. Or cook in the microwave until the onions are tender. In each tortillas shell, spread half the shell with the spinach mixture and sprinkle with cheese. Fold the tortillas shell over. In a frying pan or griddle, melt a pat of butter. Place the tortillas shell in the pan on the melted butter. Cook on both sides until golden and crispy. Serve topped with sour cream and salsa. These are delicious grilled and that keeps your kitchen cool!